I love my WordPress. In fact, from all the content management systems Iâ€™ve worked with, WordPress is by far the most flexible, the easiest to tackle, and the most fun to work with. What makes WordPress so beautiful? 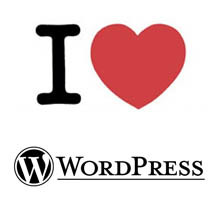 The plugins developed by the many WP enthusiasts. These plugins help you transform a blog into a genuine rich-media experience by adding to your site interactive elements that appeal to your community. I believe that the best way to engage community response is to encourage comments on your site and to reward these comments. There are many ways to reward a comment: a personal response, a followed signature link, a top of the most popular commentators, or a display of the most commented posts to show the readers where the â€œhotâ€� conversations take place. There is no plugin to replace the personal response to a comment, but for all other â€œrewardsâ€� there are specific plugins the blogosphere has already come to love. DoFollow removes â€œnofollowâ€� attributes from signature links in comments so search engines can follow them. The problem with this is that it attracts spammers and commentators who comment for the linkâ€™s sake and not to bring quality feedback to your site. If you use DoFollow, always moderate comments. To show where the hottest discussions take place you could use WP Most Commented, which retrieves a list of the posts with the most comments. This basically grabs the attention of your readers and brings it to your most controversial posts, keeping the community engaged in the conversation. A blog entry will then act like a forum where your readers can discuss, and share opinions and knowledge. Your role? That of an active moderator. Another thing that makes people return to your site is â€œfreshness.â€� You can keep your site looking fresh by adding rotating content. From a rotating header, to rotating sidebar images and random posts, everything is possible. Perhaps even more interesting is the Featured Content Plugin â€“ which adds an automated rotating image gallery to your site. Itâ€™s used by many magazine-type sites because it is fully customizable, and easy to integrate anywhere on the site, at post level or page level. For lengthy blog posts, forget the â€œread moreâ€� trick â€“ now you can split your content into more pages, all numbered, with â€œprevious â€“ nextâ€� navigation. Use Multi Page Toolkit for this purpose. What is a site without breadcrumb navigation? Itâ€™s like going to a foreign city without a map. If you donâ€™t want to frustrate your visitors, use a breadcrumb navigation plugin to help them find their way. Twitter is gaining a lot of momentum now. If you are not on Twitter you are probably missing out a lot of â€œwhat is hot and what is notâ€� in social media. You can add Twitter to your blog as â€œposts and digestsâ€�, and create new tweets on blog posts, and from within WordPress. The Twitter plugin was created by Alex King, who has a bunch of other useful plugins on his site. Adding Video to your WP site is now easier than ever with Viperâ€™s Video Quicktags. With this plugin you no longer need to copy and embed code-breaking HTML from video sites like YouTube, Veoh, Vimeo, etc. You just need to paste the URL of the video into the prompt box and the plugin will embed the video automatically for you. Speaking about videoâ€¦ you could even allow your users to post video comments to your blog, using Seesmic WordPress Plugin. The plugin allows for replies and threaded video conversation, and even gives you the possibility to moderate video comments exactly like text comments. Creating a mobile version of your site that is only active on mobile devices is a snap with MobilePress. This plugin will render your WordPress blog on mobile handsets. The regular browsers will see the mobile version only if you select â€œforce mobile siteâ€� from the pluginâ€™s settings menu. Last, but not least, I cannot write a plugins list without including the All in One SEO Pack â€“ my favorite SEO plugin for WP. Itâ€™s easy to use and itâ€™s extremely powerful for page title optimization. The plugin allows you to tweak page titles, meta descriptions and meta keywords, and it also allows you to avoid duplicate content penalties by adding â€œnoindexâ€� to categories, archives, tags, etc. Do you have favorite WP plugins that are not listed here, and could also contribute to creating a better experience for the community of a site? The comments box is open for your suggestions!